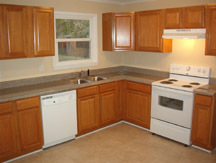 Newly remodeled home with lots of space in a family neighborhood. 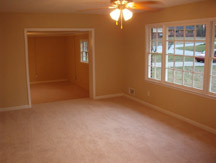 3 BR, 2 BA, with brand new kitchen, living room, extra-large bonus room, French doors, new deck, unfinished basement, security system, new windows. House is located at the end of the street and backs up to the woods. Cedar Grove High School district. 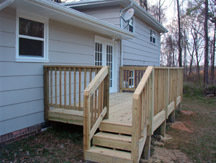 Easy access to I-285, I-20, or I-675. Near Panthersville Rd., Flat Shoals Rd., Bouldercrest Rd. Lease Purchase program available. For more information, call 678-236-3620. SPECIAL: Refer a friend and make $500 CASH if they buy the house!